Marketing success is never guaranteed. But one thing is guaranteed – if you don’t market your business, your competition will step in and take business away from you. Marketing must become a regular daily activity if you want your business to grow and thrive. I realize that there are plenty of marketing challenges facing your small business on a daily basis, so I understand your reluctance to start for fear of marketing consuming your entire day. But without marketing activities that create visibility and attract your target audience, you become just another business in a sea of mediocrity. So how do you make marketing a regular activity in order to reap the benefits? First you need to have the right mindset about marketing. Businesses that consider marketing an investment rather than an expense are more likely to succeed at committing to regular marketing activities. But like any activity that must be performed every day, you need to figure out a way to make it a habit. Creating daily habits that you schedule in your calendar can help you take your marketing from an overwhelming task to a completely achievable system. I didn’t say don’t plan. 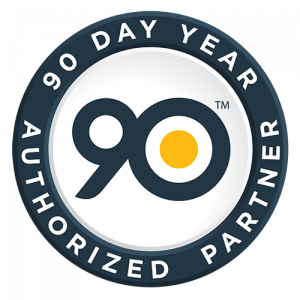 I recommend a rolling 90 day marketing plan that helps you focus your activities on short term goals that benefit your business growth. Focusing on the important goals help you make decisions on what you should be doing and what you can let go. But without action, your marketing plan is just words. Nothing will be accomplished to help your business thrive. Schedule time to fully develop and execute your marketing campaigns. Create an action plan that breaks the effort down into smaller tasks that can be scheduled to help you achieve small wins that lead to your ultimate accomplishment. Habits are formed when someone can successfully do something over and over again without too much thinking. Working out every morning for an hour becomes a habit when you no longer have to force yourself to get up and get to the gym. A marketing activity becomes a habit when you unconsciously take on the task, complete it and move on. Pick something you can do easily and do it. Don’t like to write? Try recording your content as either a podcast or video. Or hire a writer to interview you and write your blog post for you. Not a social media fanatic? Pick one platform that makes sense for your business and begin connecting and interacting with a few people every day. Find and share other people’s quality content with your followers to make your posts valuable. Are you a people person? Connect with 3 to 5 new people that you value or admire and send them an email offering help with no strings attached. Once your first marketing activity becomes routine, add a second. Keep this process moving forward so you continue to market your business regularly. A marketing system is a documented repeatable process for creating visibility and generating quality leads. Once you know what you need to do to effectively market your business, divide the tasks into daily, weekly or monthly activities and schedule them into your calendar. Create a Facebook sponsored post with a call to action on Thursdays to drive people to your website to get your offer and sign up for your list. If you repeat this process regularly, you will find yourself doing them more consistently, which in turn should produce better results. Divide your marketing activities into those you need to do and those you can outsource to more qualified resources. Does it make sense to try to design your own brand identity, business cards or website or should you outsource those tasks to creative professionals while you prepare for a seminar, speaking opportunity or event? You are the expert in your field and you do need to be responsible for the educational content. Create time for the right marketing activities by determining where you can effectively delegate and where you need to take control. Marketing is a process that never ends and it takes time for marketing activities to bear fruit. Don’t expect instant results from your marketing activities or you’ll get discouraged and give up too quickly. Every activity plants a seed. Every activity reinforces the previous one. Persistence and patience are the keys to successful marketing. If you spend time each week marketing your business, you will find that your efforts will pay off with more visibility, more quality leads and ultimately more clients. 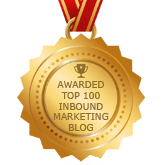 Take the Marketing Success Challenge! The future growth of your business is dependent on quality marketing executed regularly. Prioritize marketing as an important area of your business so you give it the attention it deserves. By changing your mindset about marketing, you will be able to make marketing a habit that produces impressive results. 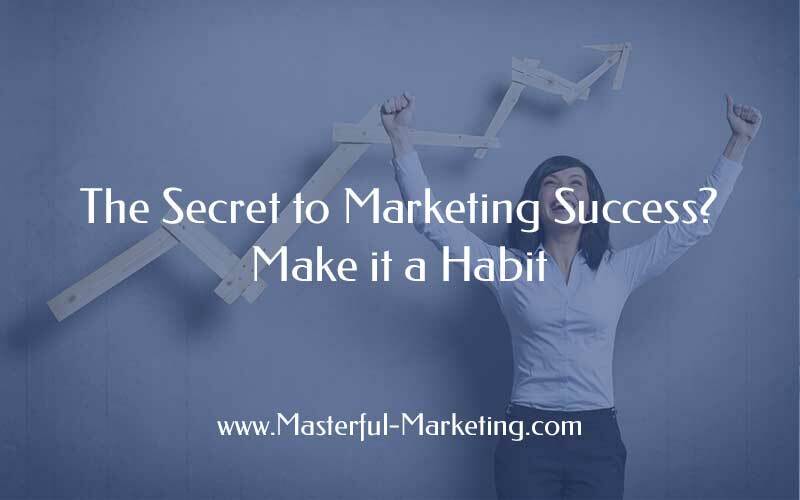 What tips do you have on how you make marketing a habit for your business?